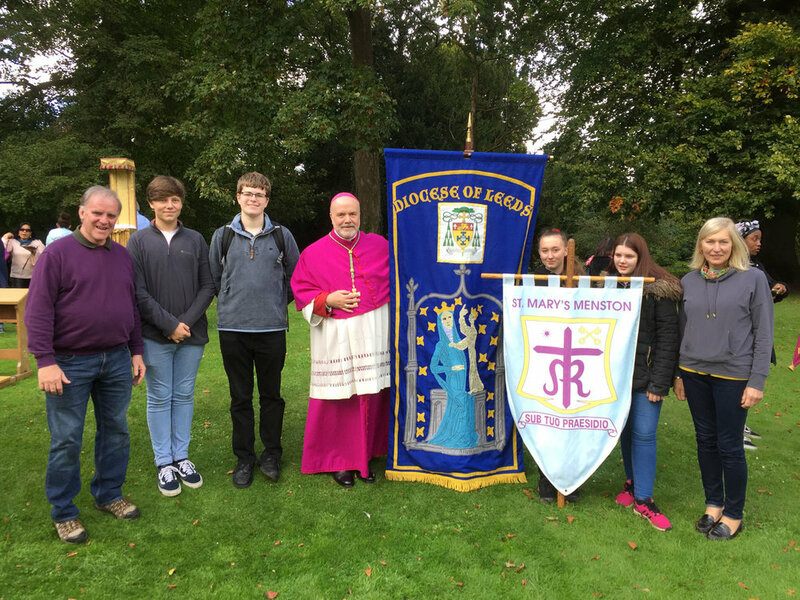 A wonderful day was had in the sunshine as the Leeds Diocesan Pilgrimage, led by Bishop Marcus, gathered for Mass in the Basilica of Our Lady of Walsingham. St. Mary’s representation of two staff and four students then processed into the village along the Pilgrim Way praying the Rosary and singing Marian hymns. Exposition of the Blessed Sacrament and Vespers concluded the afternoon in the beautiful Priory Grounds, the site of the Medieval Shrine of Our Lady of Walsingham. There was then time to explore some of the many churches in the Village or enjoy tea and cake before heading off for home and of course, a stop en route at McDonald’s for our students to refuel.